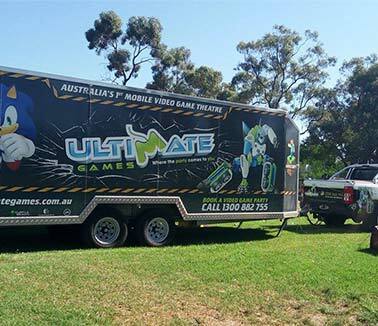 You can call us direct on 1300 882 755 and we’ll hash out all of the details for your event including the age of attendees so we can send over a list of games for you to approve! Our drivers are experienced and can get to most places however if you are unsure please give us a call and we can talk about your location and our availability. 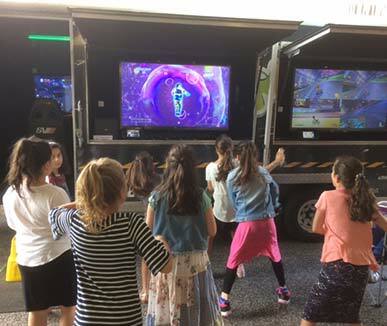 I can’t play video games, what if the kids don’t know what to do? The professional Game Coach accompanies every event. Our coaches will instruct how to play the game and inspire your guests to have an experience to remember. Younger guests may need assistance with general game play and controller actions whereas educated gamers can be shown tips and tricks to enhance their own gaming skills. Adult guests will definitely want to get in on the action so it’s a great way to cater for old and young together. Our gaming coaches are experienced with all platforms and gaming titles to ensure the event runs smooth and most importantly is fun! I have seen some violent games how do I ensure my guests will not be breaking any viewing laws? During the booking phase of the party we require information such as the guest age to ensure all games are in accordance with the gaming laws. The classification board restricts the viewing of some titles to minors and we abide by these laws for your benefit and the benefit of your children. Rain, hail, or, shine we’ll be there! 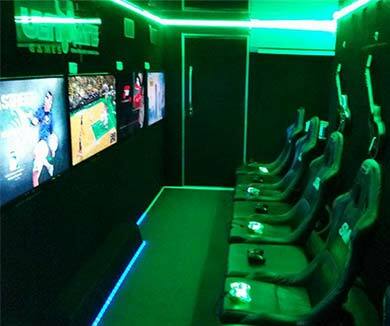 Our gaming center on wheels is enclosed and climate controlled so your guests will be able to enjoy this unique experience no matter the weather! We will be arriving 30 minutes before the party/event to ensure your guests are ready to jump in as soon as your party begins. 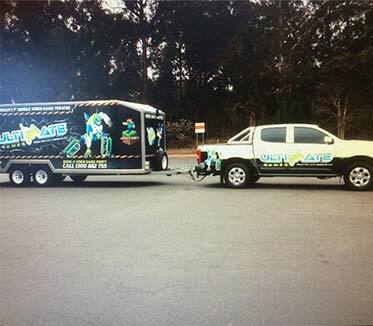 To ensure everyone has ample time to play in the gaming trailer we suggest you limit the party to 16 guests. This is not a limit only a suggestion. Anymore than 16 may have to be rotated and a surcharge may apply. Do I need to supply anything for the video game party? How can I ensure my booking is reserved? Because we are such a unique and fun experience, booking space goes extremely quickly and to ensure your reservation is held we require a 50% deposit. You pay online via Direct Deposit. Details will be on the bottom of the invoice. I have booked, what now? Once your booking has been paid we will send out invitations of your choosing to you. All you need to do is fill in their details and hand them out. 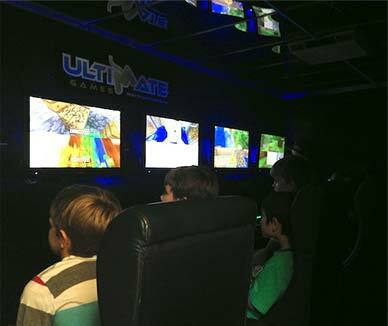 Then you just need to wait until your event and Ultimate Games will bring an experience you and your guest will never forget!